Home » News » Culture & Lifestyle » Coach and Parent Relationships, How Important Are They? Do you remember being enthusiastic about your child participating in a sport or similar extra-curricular activity? Did you long for the day that your child would kick the soccer ball, wrestle on a mat, chant a sideline cheer at a football game or hit a baseball off a Tee? As children begin to learn skills and teamwork, parents take on an appreciation for the sport and the experiences their young ones are exposed to. As athletes become older, coaches and parents may differ in goals and outcomes, leading to future expectations of entertainment, competition and making money for the team or their organization affiliation. Interactions and relationships start developing between coaches and parents. Constant communication is key and Coach Joann Tatarzycki believes that it is helpful to lay the ground rules and expectations for the program right away with parents. Coach T, as her DHS Cheerleaders call her, said, “I strongly feel that high school students need to accept consequences and make good decisions when they are in my program.” Taking the time to offer an explanation may put a parent at ease and allow the parent to support her decision. Parent Lisa Cianflone, mother of a DHS varsity cheerleader, finds it important to work together, find opportunities to show you care and help the future of the athlete. “The smallest conversations make a difference,” said Lisa. Player evaluations should be left to the coaches. Not everyone can be the quarterback, a pitcher or a goalie and coaches will place participants where they feel each child will have success, constructing team triumph. I suppose you can say that there is a method to their madness. It is important that parents take part in their child’s sport experience. There are many teaching moments that come from sports and you don’t want to miss out on an important phase of your child’s life. “A team isn’t just made up of players; it includes the coaches and parents. We win together, and we lose together,” stated Lorraine Amaral, parent of a DHS varsity football kicker. There is much sacrifice and pain in growing for an athlete and parents more often than not can be a hindrance to that process, affirmed John Degl, coach and owner of Empire Wrestling Academy. Parent-coach relationships should be enhanced for the success of the athlete. Communicate. For additional information, please call Estela Camacho at 203-530-2457 or email her at EstelaGC005@gmail.com. 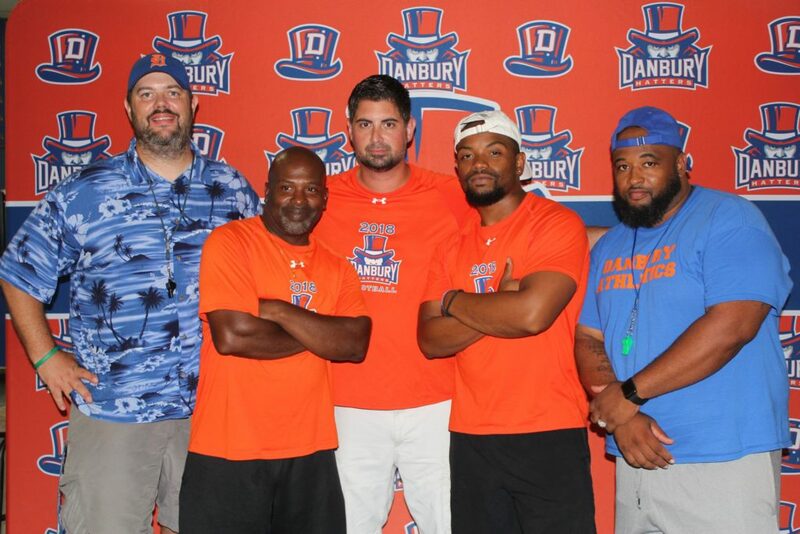 You can also learn more about the organization at www.dayosports.com, on Facebook (Danbury Athletic Youth Organization) or Twitter (@DAYOinfosports) or read about us in Tribuna Newspaper.